World-renowned tenor Andrea Bocelli will be returning to the historic Hollywood Bowl in Los Angeles on June 20, 2018. This special performance will feature Andrea Bocelli's unmatched repertoire of famed Arias, love songs and beloved crossover hits. As the official credit card of the tour, Citi® card members will have access to purchase exclusive pre-sale tickets and VIP packages beginning on Dec. 4 at 10AM/ PST followed by Fan Club beginning on Dec. 6 at 10 AM/PST. For more information on the Citi presale, please visit CitiPrivatePass.com. General ticket on-sale will begin on Dec. 11. Please visit AndreaBocelli.com for additional ticket information. 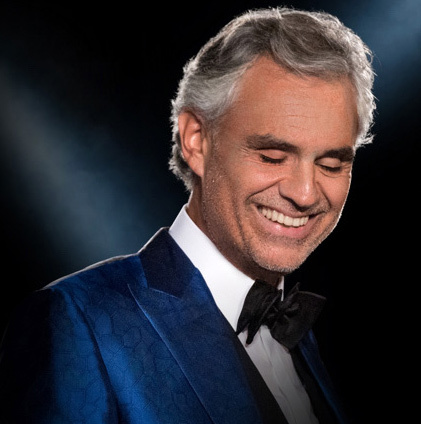 Thrilling audiences for over 20 years, Andrea Bocelli exploded onto the world's stage with his hit, "Con te Partiro" and has since sold over 80 million albums worldwide. In 2016 he was nominated for three Latin GRAMMY Awards® including "Album of the Year" and received a 2017 GRAMMY AWARD® nomination for "Best Traditional Pop Vocal Album" for Cinema.